4.5 stars. I've been in a reading slump and cranky about almost everything I've been reading. 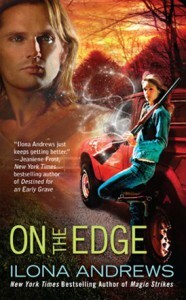 Thank goodness for On the Edge. This book has great world building and characters. It was a pleasure to read.